Candorhal‘s Administration Team would like to first and foremost thank you for taking the time to go over these lines, and in advance, for sharing your input. You may find who we are, what we are trying to achieve and our introductory post by clicking on the link available here. Being a project that is trying to create a community, we would like to ask for your help, whether you believe in our project or not, whether you believe in us or not, it would help us tremendously to just share your thoughts, your ideas, your vision about the perfect place where you could experience this amazing expansion. 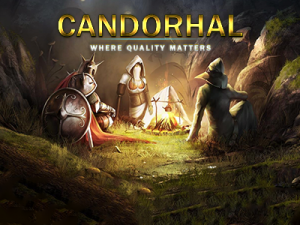 Candorhal‘s Team created a survey and would like to know your opinion. Will you please allow yourselves a maximum of 5 minutes to tick some boxes and help some hard working people understand what the scene needs right now? We also invite anyone that might be interested into what we are trying to achieve here on Candorhal, to register an account and to be part of not just another server, but part of a community. We will release weekly a post, here on this sub, with our latest fixes, changes and progression, in the hopes that we will prove our name amongst you, the ones that seek a complete experience when it comes to Wrath of The Lich King, if it is not against ownedcore rules.